A wedding day is the one time a bride can guarantee that all eyes will be on her. It's the one opportunity to be a princess for a day (unless you're marrying into the royal family of course). 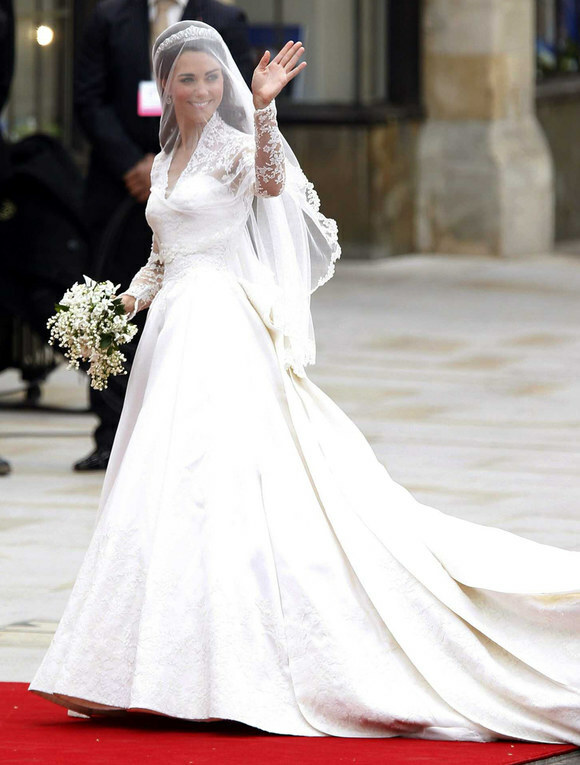 When Kate Middleton walked down the aisle at Westminster Abbey, all eyes were most certainly on her and her £250,000 wedding dress, which was created by English designer Sarah Burton, the creative director of luxury fashion house Alexander McQueen. The lace gown caused a media storm and its recent display in Buckingham Palace brought in a record number of visitors during the summer months of 2011.